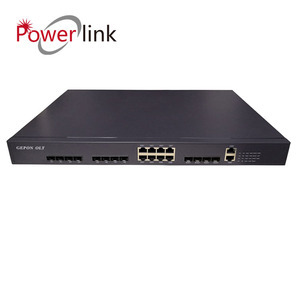 It is developed by HZW and used in small and medium-sized networking. It supports CTC3.1/2.1, ONU automatic identification, auto-discovery, and auto-registration, save much time for testing. 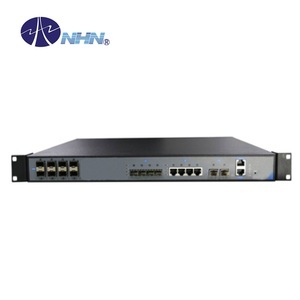 HZW-E818-01 is able to provide broadband, voice, IPTV, CATV and other integrated service access. Service differentiation: Comprehensive QoS mechanisms for voice, video and high speed Internet services. We are willing to sincerely cooperate with both domestic and foreign customers, develop trade as well as friendship. We can provide detail documents and remote help for device installation and configuration. 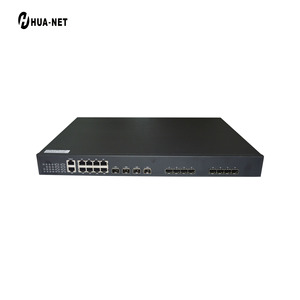 Each PON supports up to 64 terminals, the whole device supports up to 512 O NU s under full configuration ,It adopts advanced technology to support SLA and DBA to keep strong function on the Ethernet and QoS features. it is applied for commercial and grid network digital management to provide perfect, smart, strong, advanced, professional solutions for &ldquo;automatic distribution&rdquo; and &ldquo;electricity information collection&rdquo; in the implemented project for the national grid. 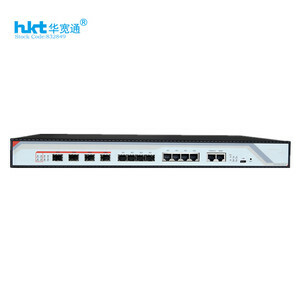 Features: Carrier- class stability and network resiliency l Adopt large-scale NGBN operation system with intellectual property rights in the global carrier network l Support PON fiber redundancy protection and device redundancy protection protocol l Support rich security features to protect the users, devices and network. 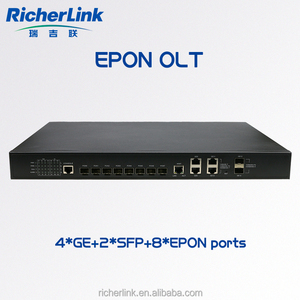 Each PON supports up to 64 terminals, the whole device supports up to 512 ONUs under full configuration. 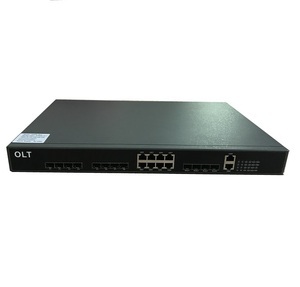 RL8008EN adopts advanced technology to support SLA and DBA to keep strong function on the Ethernet and QoS features. 2. Packaging: standard carton which suitable for air/ sea transportation. 2. About the quality9 After price confirmation, you can require for samples to check our quality. 3. Can you accept small order9 Yes, small order is available. 4. What is your delivery time9 Usually about 2~3 working days, it depends on the quantity. Huizhou Hongfei Communication Co., Ltd.